Home » Critical News » Goldeneye remake announcement imminent? Fans have been crying out for it for several years, and now it looks like it’s actually happening; a Goldeneye remake may be making a ‘surprise’ showing at E3. Last week, Go Nintendo published what they claimed were details of an anonymous e mail, apparently containing details of a survey that confirms a Goldeneye remake (featuring the Daniel Craig Bond) is on the way. This rumour has been given credence by Eurogamer, who claim to have been given further details. Eurogamer claim that the Activision title is being jointly developed by Eurocom and n – Space, and is due to be officially unveiled at E3. The remake will, they say, be released on Wii and DS. Why only Nintendo consoles? It’s not like Activision to miss a moneyspinning trick. Well, by the time demands for a remake had become particularly loud, any potential reboot was facing complicated development and copyright issues. 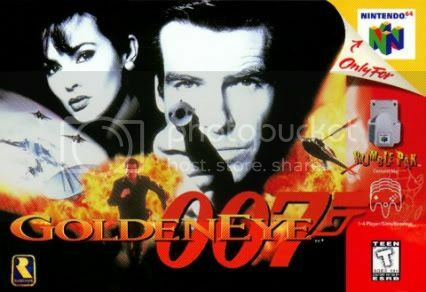 Goldeneye was developed by Rare, who had later been bought by Microsoft. The game was published and owned by Nintendo and furthermore, the rights to new Bond videogames had passed to EA. Ohhh I do hope its True.. I LOVED the original game.. was the king of multiplayer for its time … many many hours where spent playing it. never could do the train level on hardest thou.. !